Producing a black metal card is a challenge. Unlike our coloured metal cards its not something that can be achieved by tinting standard stainless steel using electrophoretic laquer. So we scoured the planet for a supplier of high quality blackened steel. And we found one. 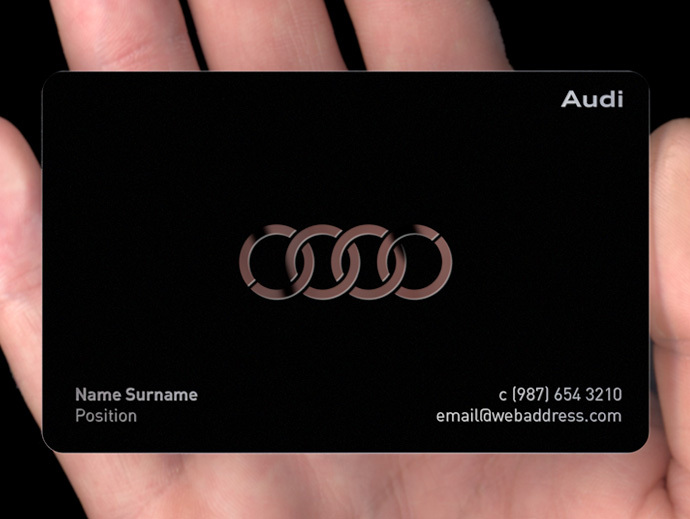 Available at a thickness of 200 micron, these exclusive black metal business cards are truly exquisite. Using our photo-chemical production process, we cut through the steel and etch into its surface to bring your design to life.